Dan Hancock served as the President of Shapell Industries for 15 years. Under his leadership Shapell evolved into one of Northern California’s most innovative privately held homebuilding companies — a company dedicated to designing carefully thought-out master-planned communities. Dan retired in 2001 but continues to serve as a consultant. In addition, Dan has been a member of the California Little Hoover Commission since 1997, when Assembly Speaker Cruz Bustamante appointed him. In 2001 Assembly Speaker Robert Hertzberg reappointed Dan to the commission, an independent state oversight agency whose mission it is to investigate state government operations and — through reports, recommendations and legislative proposals — promote efficiency, economy, and improved service. Dan was also chairman and founding director of the San Jose Sports Authority, instrumental in negotiating the use and design of the San Jose Arena and securing the Sharks National Hockey League team for the city, as well as attracting such high-profile events as the National Figure Skating Championships and the NCAA basketball regional finals. A native Californian, Dan grew up in San Jose, attending public schools there and eventually graduating from San Jose State University in 1970 with a degree in political science. He had his first foray with the real estate and homebuilding industry when he went to work at his father’s title company. Just 14 months later his father passed away, forcing Dan to learn the business quickly. He ran the builder services division of the company for a few years before Shapell Industries recruited him as its director of land acquisitions and planning. In 1983 he was named vice president and was ultimately elevated to president of the company. “I always thought I had the best division manager job in Northern California,” he says. Dan, recognized in the industry for his strong working relationships with local governments and community leaders that ultimately resulted in providing housing in slow-growth areas, says he loved the aggressive nature of Shapell, particularly its commitment to complex projects with abundant intricacies. “The company has a reputation dating back to 1955 for quality and a real commitment to paying attention to the little things,” he says. Dan especially enjoyed overseeing the architectural aspects of the communities Shapell created, emphasizing the reintroduction of classic architecture reminiscent of the great old neighborhoods of Northern California. He also takes pride in providing extra quality and amenities to the communities he helped create — features that give them texture. An example is reintroducing park strips in communities to capture the feeling of older neighborhoods in which the streets meander through a canopy of trees. 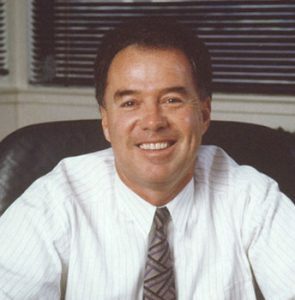 As president of Shapell he learned that follow-through is just as important as implementation and that long-term viability is key in maintaining a strong reputation. “You learn a lot about a project by going back five or ten years later,” he says. Of the projects he was involved in, he is particularly proud of Dougherty Valley, an 11,000-unit project in Southern Contra Costa County that is 20 percent complete. The development has faced every obstacle possible and Shapell was vigilant in planning for every nuance. One of the things the job required, Dan has always had plenty of — patience. Many of the projects would take eight or 10 years to complete. “They would start as a gleam in your eye and ultimately translate to projects in the ground,” he says. Dan guided Shapell into new territory when he secured the talents of golf legend Johnny Miller and his design firm to create two exceptional golf courses in master-planned communities sponsored by Shapell: The Bridges at Gale Ranch in San Ramon and Eagle Ridge in Gilroy. Dan was also involved in the 865-acre Evergreen Hills master-planned community in San Jose. Through 10 years of planning, Shapell Industries of Northern California, in partnership with government officials, builders, architects, land planners, and the City of San Jose, was dedicated to creating a neo-traditional environment stylized after the neighborhood districts found in the best older cities such as Beacon Hill in Boston, Nob Hill in San Francisco and Ballard in Seattle. Each of these districts, like Evergreen Hills and Evergreen Village, has its own mix of retail, housing and civic buildings that create a self-contained, small town atmosphere with a central hub to encourage strolling, people watching, and neighborhood interaction. And as a member of the Little Hoover Commission, Dan and his fellow commissioners delivered a report to Gov. Gray Davis and the Legislature on the state’s housing blight. Titled “Rebuilding the Dream: Solving California’s Affordable Housing Crisis,” the report urged state leaders to take charge of the state’s worsening housing crisis. Dan says one of his greatest sources of inspiration comes from the period in his life when — with just less than a year of experience under his belt — he took over a division of his father’s title company upon his death. Dan is a former Director and past President of the HBA of Northern California, Southern Division. Dan continues to consult Shapell Industries in his retirement. He also enjoys reading, primarily history, biographies, and anything to do with the Civil War. He also likes to travel and visit ancient cultures, play golf, and watch sporting events. ​He’s been married for 35 years and has three sons and two granddaughters.